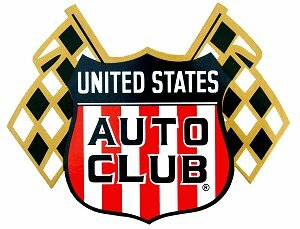 ABBOTSTOWN, PENNSYLVANIA (April 14th, 2019).........The 2018 USAC East Coast Points Champion, Steven Drevicki, started off his 2019 campaign in the best way possible. 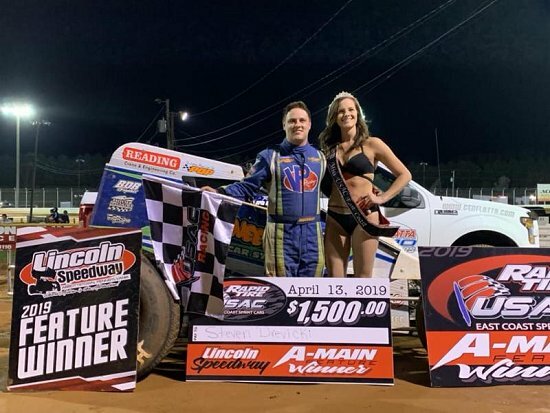 Drevicki, from Reading, Pennsylvania combined his knowledge of Lincoln Speedway and his expertise in a wingless sprint car and came up with a near flawless night of racing. Heat #1 went to Carlisle, PA's Chandler Leiby. Late in the race, Leiby felt the heat from Eddie Strada, who came from the sixth starting spot. Leiby ran a consistent and clean line, holding off Strada for the heat win. After a six-car redraw, Drevicki found himself on the pole position. Before the race, Drevicki said, "I don't usually like the pole because I never know where to go." After testing a few different lines, Drevicki found comfort in the bottom groove. Carmen Perigo was an early contender, but Strada and Jennings battled him hard, allowing Drevicki to pull away.